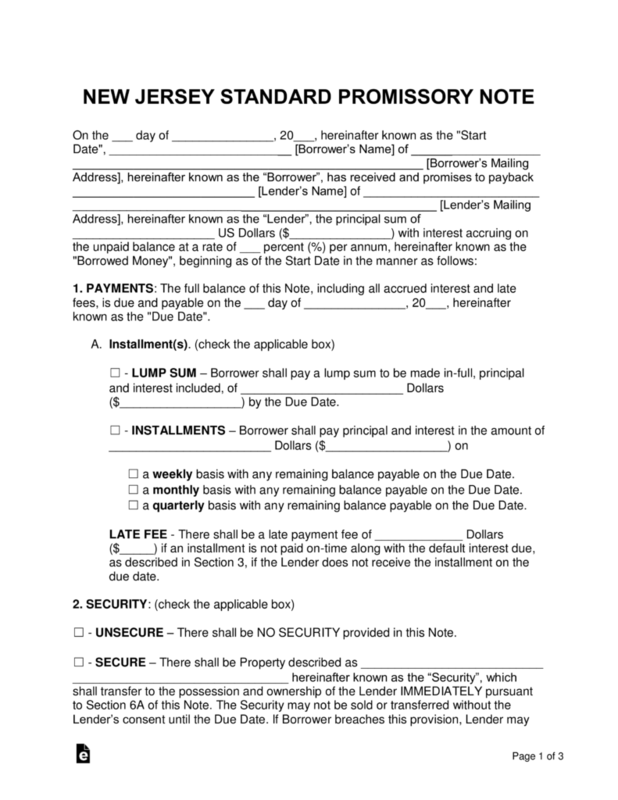 The New Jersey promissory note templates are for situations where one individual (called the ‘lender’) plans on lending money to another individual (called the ‘borrower’). The lender profits from the deal by earning interest on top of the original balance of the note. 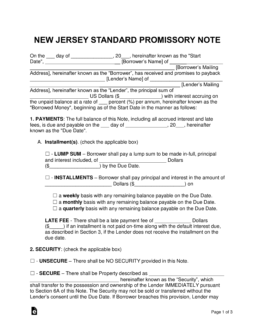 Secured Promissory Note – Includes a section that requires the parties to agree on an item to be put into security. If the borrower enters into default on the balance and cannot recover, the item in security will be given to the lender to aid in recovering the remaining balance on the note. Unsecured Promissory Note – Very similar to the secured version, but differs in the fact that there is no section on security. The lender is at a far greater financial risk when using this version because there is no regimented plan for being reimbursed if the borrower cannot make payments on the note. Lenders are strongly recommended to ensure a trustworthy and financially secure borrower is chosen.